pojemność: e 510g | 17.25 fl.oz. Cleanses and takes care of the skin. When it dissolves in water, releases mineral ingredients, which improve the skin’s condition and make it wonderful soft and smooth. 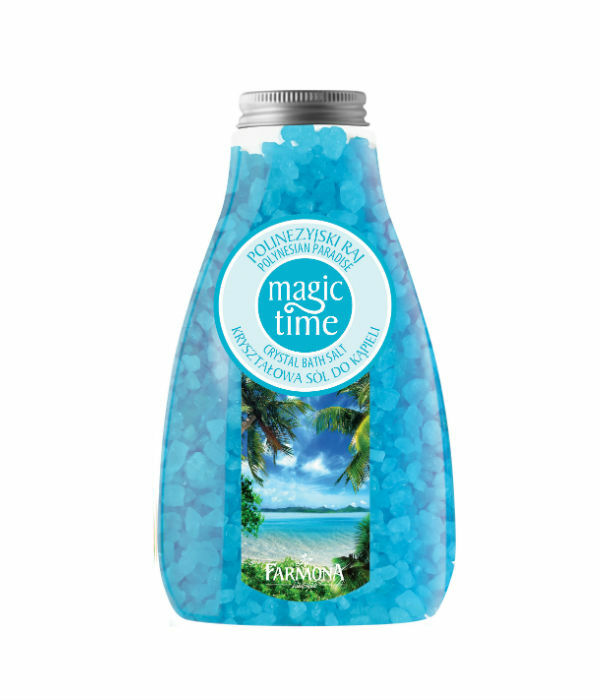 Bath with the salt brings back paradise memories enclosed in a warm summer note. 25 ml pour into the bath under a stream of warm water or use to wash your body in the shower. Sodium Chloride, Sodium Lauryl Sulfate, Alcohol Denat., Parfum (Fragrance), PEG-25 PABA, Silica, Limonene, Linalool, CI 42090, CI 19140.